I tried hard to get correct Headings and True / False questions. But somehow I'm not able to achieve what I want. Please help me how to practice for Headings and true, false, not given. There are specific strategies for both of these question types, and, if you follow the strategy here: ielts.allearsenglish.com, matching headings should actually be the fastest question type to answer! The answer is no or ng?? 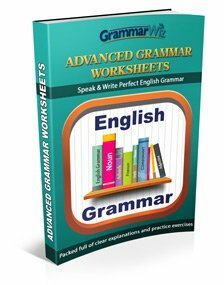 I would recommend www.youtube.com/worldofenglishexams for question type wise detailed explanation of IELTS Reading. This exam type of Reading is really horrible. Anybody who can be of help to let us/me understand how to tackle exam types with these options?? 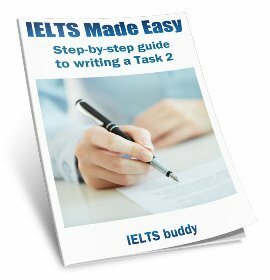 Here is a tip for IELTS reading matching title to headings questions. A method that helped me a lot to answer title/header matching questions is reading each paragraph one by one and immediately choosing the best title/topic from the list. But using this method only one time you read the paragraph. This can also be applied to multiple choice topic matches. 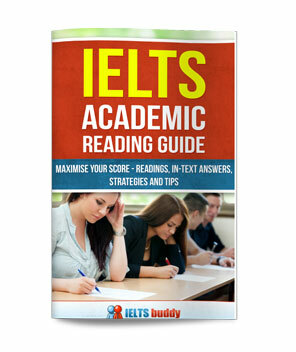 Comments for Here is a tip for IELTS reading matching title to headings questions. You do not want to read the whole passage, and then go through and start matching the headings. If you do that you will likely end up having to skim through the whole reading again to find the answer. It is better to look at the first paragraph, then see which heading fits, and place it next to the paragraph. Then go on to the next paragraph. Hey friends, I just appeared for the i.e.l.t.s exam and got an overall score of 8.5. I have got a tip for you guys. During the reading session, while answering the questions concerning choosing the option with the correct heading, try to read each paragraph first and then immediately browse through the headings and answer the respective question. This should be done after each paragraph, this will help you in answering the 1st 5-7 questions while simultaneously reading the whole essay. This was a pretty useful comment. Much appreciated. Thank you so much. I shall be giving my exams on the 25th of May.2013. Now these days i am doing preparation for 7 band but i need some tips for getting 7 in each specially in Reading and Writing, any person can give me useful information or tips??? In sentence completion type questions, do articles play important roles? like if the correct answer is 'an entry point' but I filled 'entry point' only, then do they consider it as correct answer? Yes they do matter. It is a 'sentence' you are completing and the sentence must be grammatically correct. So if it needs an article to make the sentence grammatically correct you must put it in, and missing it will mean you do not get the mark. Good and informative post. I hope you will keep sharing. In Academic Reading is there any order in the questions related to the answers in the passages? For example, like in a series of questions, the answer for the third question is later in the passage than the answer for second question. Is there truly such order in Academic Reading??? Most questions do tend to follow the order of the text, but that's not true of all of them. 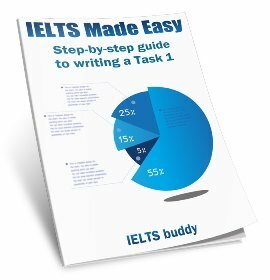 Please take a look at my Reading Lessons on the href="https://www.ieltsbuddy.com/ielts-practice.html">IELTS Practice pages and it will tell you which ones do or do not. In the reading section, if there is a matching heading question, is it helpful or not if I answer other questions first even though the matching heading questions appear first? I think that answering other questions makes me understand the passage more clearly. Can Others share your experiences? You should approach it in the way that you find best. If you find doing it that way helps you to get to know the passage and therefore makes the matching heading questions easier, then do it that way. Do we add adjectives in IELTS Reading gap fills? Should you always include the adjectives (if applicable) when completing sentences? When we have to complete sentences or summaries using only words from the text, I am a bit unsure if we should always include the adjectives. For example, consider the following incomplete sentences, with the model answers next to them. 1) "The signal for evacuation will normally be several ……………….." - "short bell rings"
2) "If possible, students should leave the building by the ……………….." - "nearest staircase"
3) They then walk quickly to the ……………….. ."-" (paved) quadrangle (area)/quad"
4) "If there is an emergency at lunchtime, students gather in the quad in ……………….. and wait for their teacher." - "(their) home-room groups"
With the exception of number 3, will all my answers be marked wrong because I didn't include the necessary adjective? Will there ever be a case where we have to leave out the adjective from the text? Comments for Do we add adjectives in IELTS Reading gap fills? The first thing you need to think about is the instructions. If it says for example answer with 'two words only' then 'short bell rings' will be wrong. You'd have to have 'bell rings'. But with that example, if you are given three words then my recommendation would be to use the adjective. You can't be sure what is in the answer key and if they decided for the answer they think the adjective is important (it may be in some cases but not others), you'll get marked wrong. So basically if the word limit allows you to use the adjective, then use it (assuming it fits grammatically into the gap of course). But if it will not fit as you'll go over the word limit, then do not use it. Also do not use it if it will not fit grammatically.